As I wrote yesterday, judges are limited to buying tickets to — and attending — other candidates’ events, up to $250 per ticket during the time they are actively campaigning. 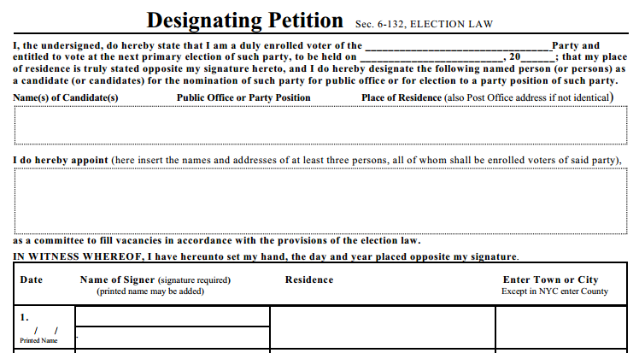 They are not allowed to otherwise make contributions to campaigns, so if payment was made to the Hartzell campaign of over $5,000 as a “contribution” it would be completely illegal, but Brown’s campaign is within its rights to hire Hartzell’s crew to circulate Republican petitions in Clarence on Brown’s behalf to secure for her that line. Makowski acknowledges that this is a “highly unusual practice”, but when you’re concerned about ballot access, you have to think outside the box. He maintains that Brown’s campaign only bought a small handful of $200 tickets to Byron Brown events — well within the legal bounds of what’s permissible. Makowski also notes that Brown decided to use Steve Casey’s LSA Strategies before the Preetsmas raids of late May, and they girded themselves for the inevitable controversy.